In old dogs, some tumours are malignant. However, many owners do not want to pay for histology to check whether the tumours are malignant. 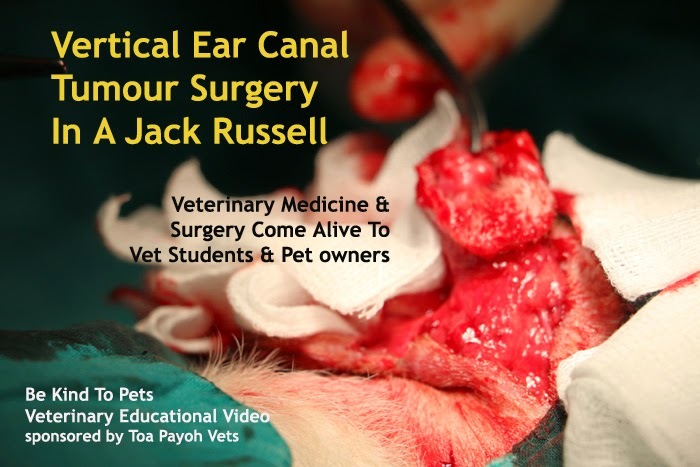 In this case, the tumour at the entrance of the vertical ear canal had been excised by another vet. The tumour came back and grew much bigger. Vertical ear canal ablation, ie.. the removal of the vertical ear canal is the best option and was done by Dr Daniel. 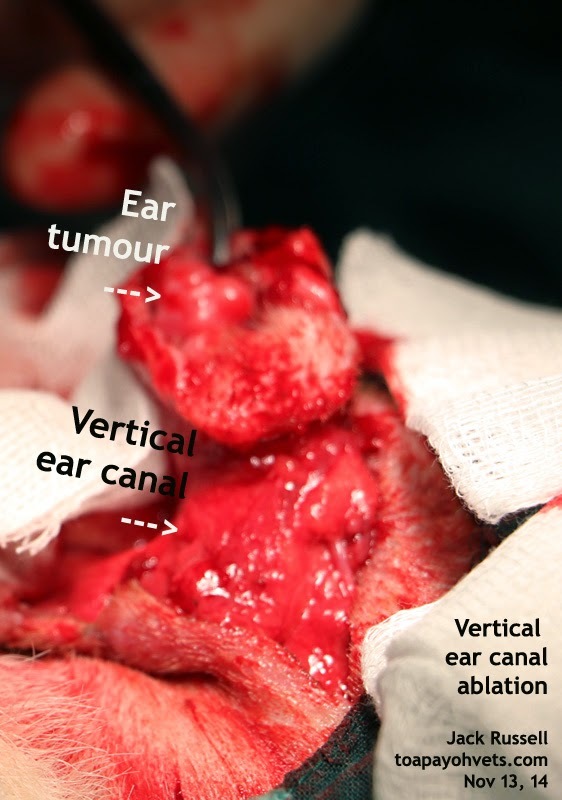 Ear tumours at the entrance of the vertical canal can become infected or obstruct the ventilation of the ear canals. The dog keeps scratching and the infections cause a bad smell. 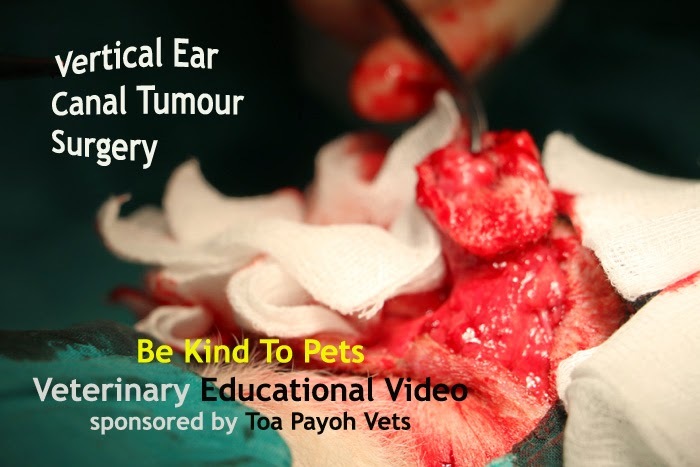 Ear canal tumours are not common. This is the second case in 2014. In the first case, the old Husky had a smelly itchy ear. Vertical ear canal ablation by me resolved his problem. Video produced.